Vintage Levi's 512 "slim fit, straight leg" jeans. Cut-off, frayed hems. High waist, light wash. These are super worn-in and soft! A bit thrashed with small holes on the back pocket corners. So good! 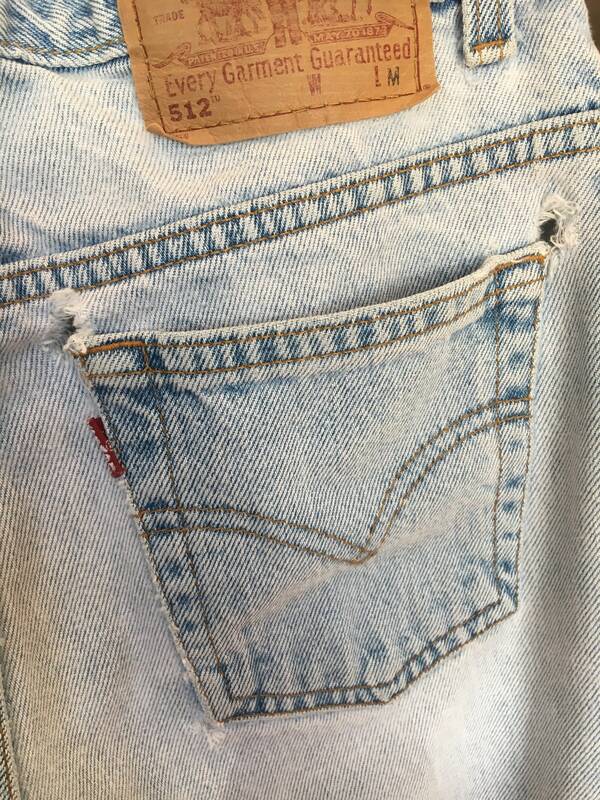 Label - Levi's 512 - Levi Strauss & Co.